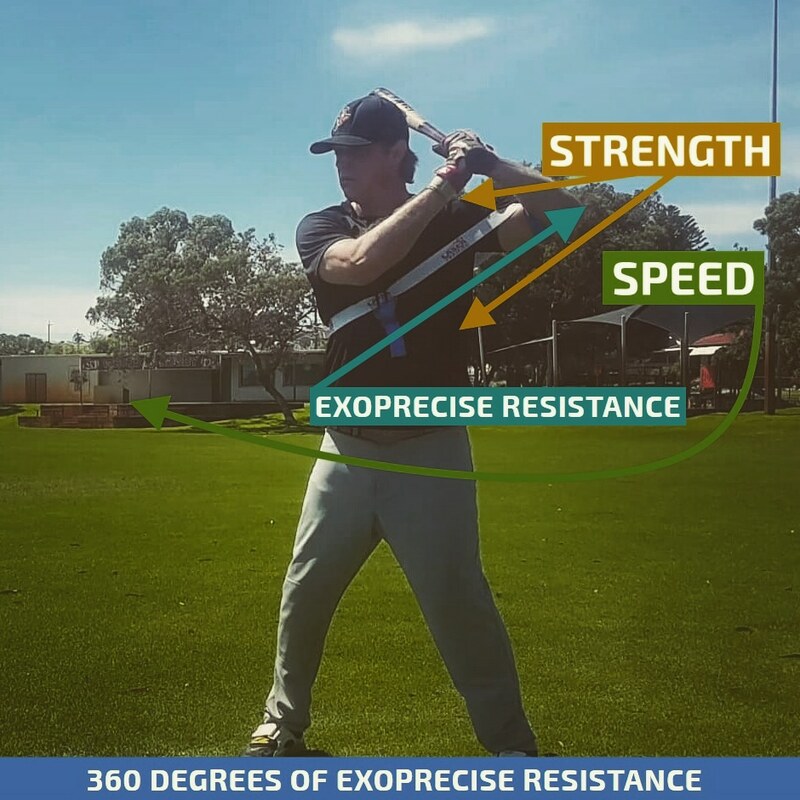 Throughout batting practice, our cutting-edge Exoprecise (® ℗) Resistance Technology, ignites a baseball power swing workout; strengthening precise hitting muscles. 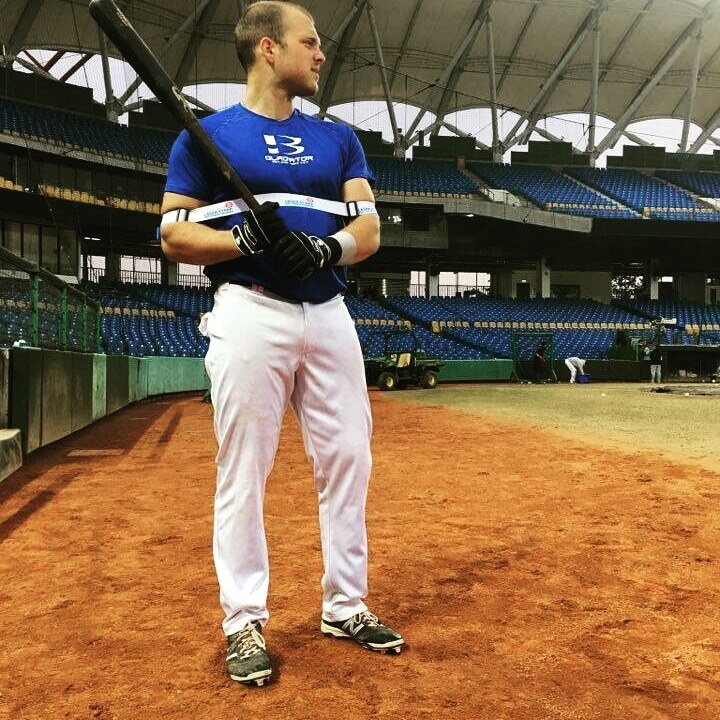 Our baseball and softball, power batting trainer is beyond compare. Combining a precise amount of resistance (Exoprecise Resistance), with a silky-smooth, lightweight, and intuitive design, activating “automatic muscles.” stimulating the deep-layer thoracic core (back, sides, abdominals), acceleration/deceleration (shoulders); strengthening precise batting muscles. 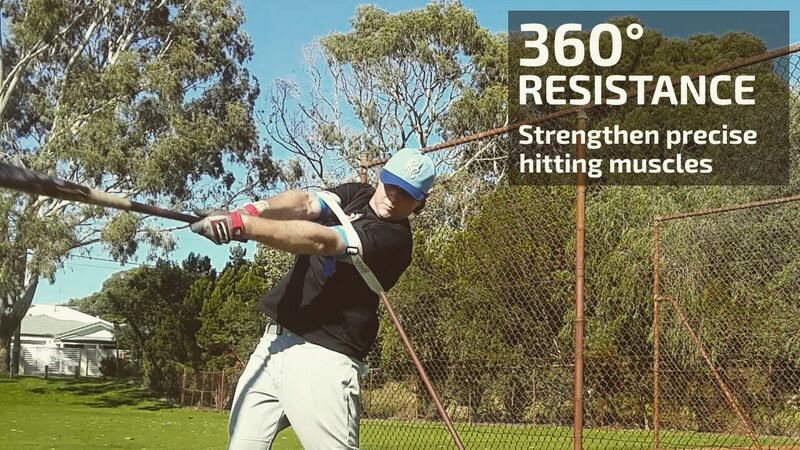 You’ll feel stronger and faster, growing the confidence to hit any pitcher out of the ballpark. 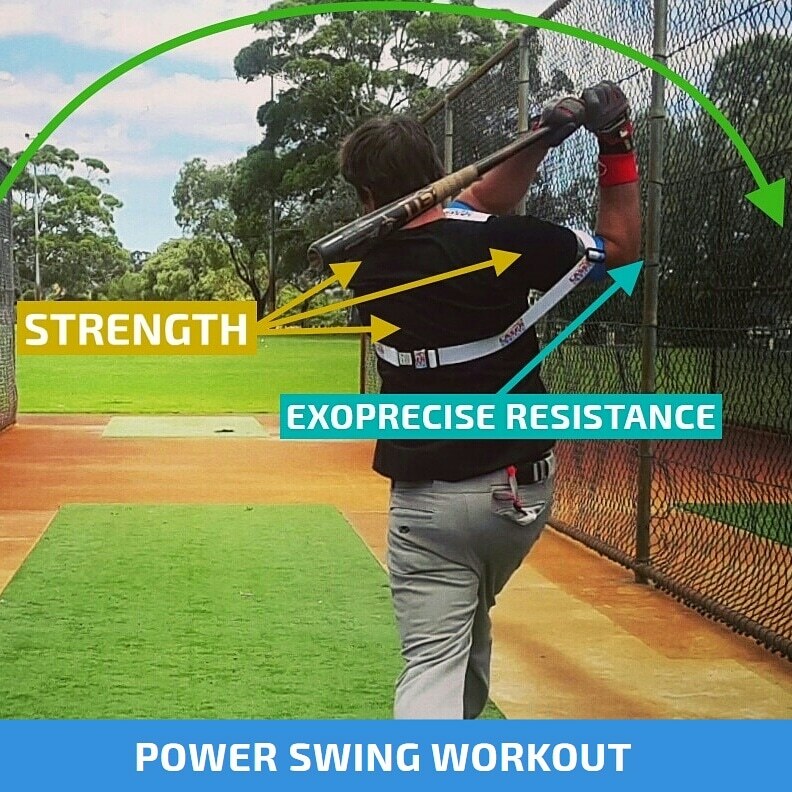 Throughout your stance and load, at the time your front and back elbow move away from the body, a pushing force expands our unrivaled hitting trainer, producing the precise amount of resistance to strengthen your power swing muscles. In the process of staying through the ball, your arms progress forward from your body’s core/center, creating an external force, expanding our cutting-edge batting aid; exerting precise resistance to strengthen automatic deep postural muscles, laterals, obliques, intercostals, abdominals, and the deceleration muscles in your posterior deltoid. You’ll enjoy the benefits of a powerful gameday swing. 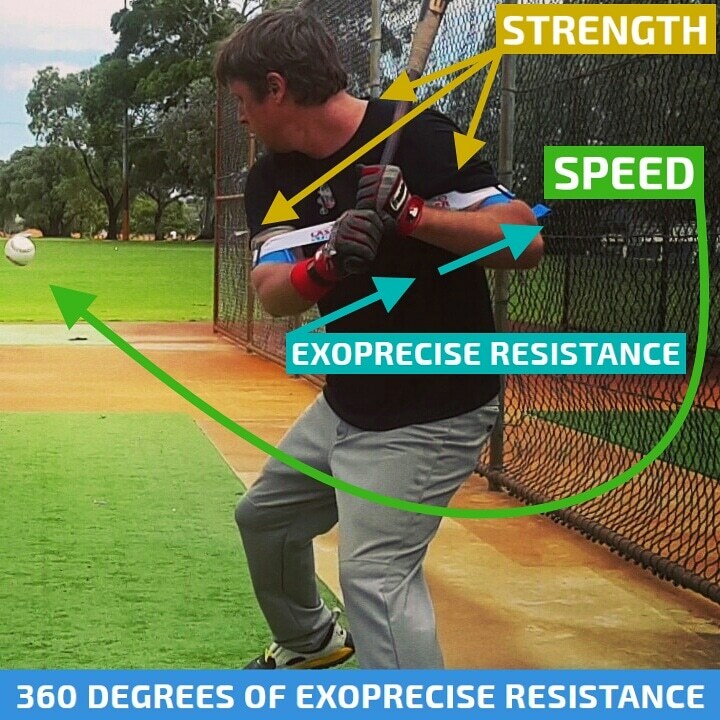 Amid your follow through bat speed and resistance continue interacting in a perfect sequence, applying forces to the left and right side of your body. 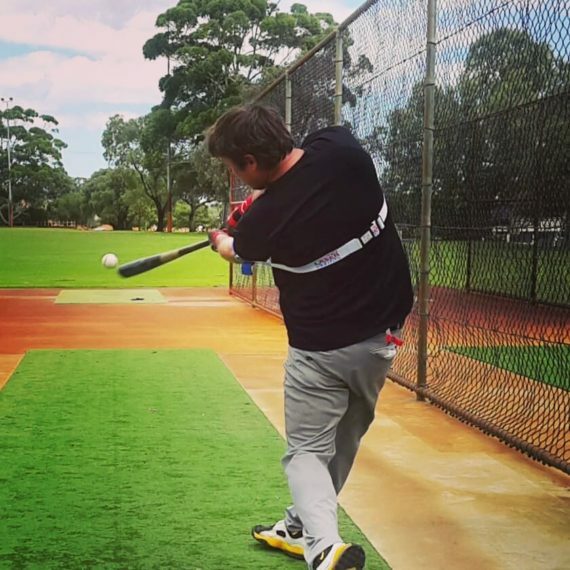 At this time our groundbreaking batting trainer morphs, expanding and contracting, accommodating a full range of motion to finish your power swing with proper extension; strengthening follow through muscles. On game day, you’ll notice the bat feels lighter; batting more doubles, triples, and home runs! The universal problem, with common strength/resistance training methods/devices; the weight resistance is too far away from your body’s center. Pulling your arms away from the body, encouraging a long swing, exposing your wrists to injury, sequencing an improper Kinetic Chain. 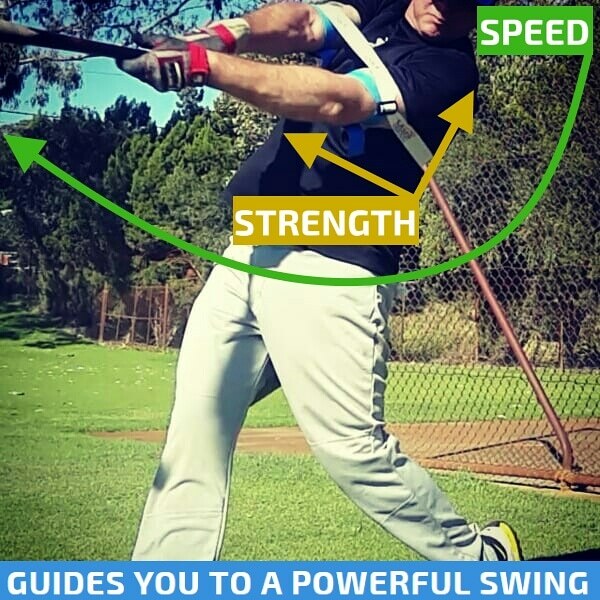 Our Laser Power Swing Trainer strengthens your precise hitting muscles, swinging a standard bat. 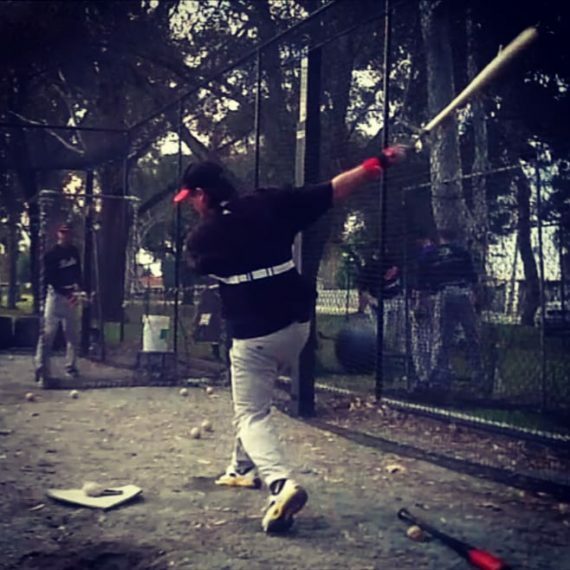 Additionally, if you decide to train with a heavy bat; our revolutionary hitting trainer keeps you “connected,” and maintains bat speed, counteracting the extra force on the extremities of your body. Heavy bat training produces a strong pulling-force, with a weight-resistance away from your body’s center of gravity; exerting pressure on your weaker, extremity muscles, and joints. Wind resistance training provides a steady pushing-force, with a weight-resistance away from your body’s center of gravity. Once again, exerting pressure on your wrists, and forearms. Hitting weighted balls and objects, increases impact-force, away from your body’s center of gravity, generating an extreme amount of pressure on the extremities; exposing your wrists to injury. 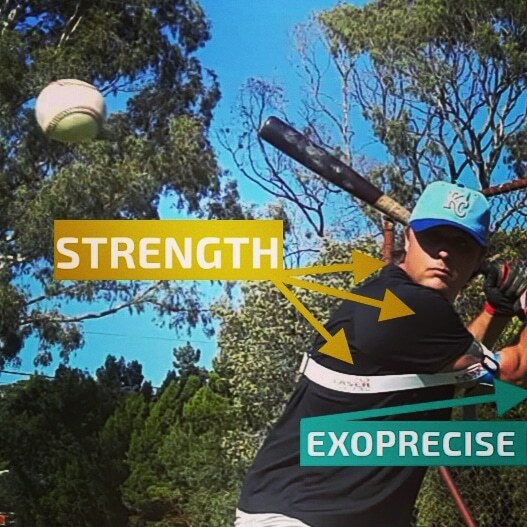 Sport Precise training, driven by Exoprecise Resistance Technology produces an outward pushing-force, close to your body’s center of gravity, producing a precise amount of resistance, activating the core muscles, as your small muscles follow; sequencing the Kinetic Chain. Round 1 (up-inside) 10-20 swings heavy bat top/trail hand side toss. Round 2 (low-away) 10-20 swings fungo, or regular bat; bottom/lead hand side toss. Round 3 (up-inside) 10-20 swings #LaserBlast heavy bat side toss; 2-hand follow through. 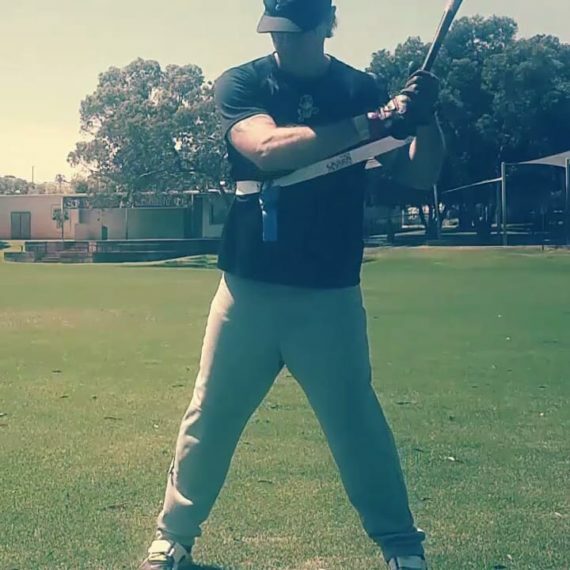 Round 4 (low-away) 10-20 Swings #LaserWhip (back arm inside your Laser Power Swing Trainer) side toss, regular bat; top-hand release follow through. Round 5 (all locations) 10-20 Swings regular bat, don't think!!! Enjoying your powerful stroke. Mix and match with tee-drill, front toss, and cage/on-field BP. Maintaining your strength is critical, especially, towards the end of a long baseball season. The gym builds beach muscles, our Laser Power Swing Trainer strengthens power hitting muscles, simply, pick up your bat and take batting practice. 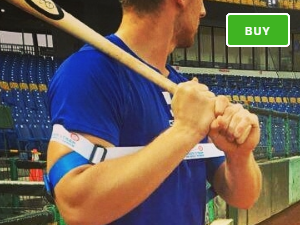 One of the many reasons, MLB players buy our product.